This online auction features Clear and Frosted Lucite Accent Table, Original art sculpture, Credendza, Trophies, Original artwork, Tassimo Bosch coffee maker, New Boxes, Harco Metal Silk Screen T Shirt Printer, Harco Metal T Shirt Conveyer Dryer , Belt Sander and much more! This online auction features furniture, artworks, housewares, decors, books, Brass Candlesticks, Sterling Silver, Binoculars, jewelry, Luggage, Vinyl Records Album, Sewing Machine and much more. This online auction features Antique Wood Table, Antique Pine Cabinet, Antique Pine Bed Chest, Bone China Teacups, Braun Tassimo single coffee drink maker, Sailboat Model, Wagon Wheel, WH Grindley Co China, Royal Albert China, Craftsman Lawn Tractor, vintage luggage, Area Rugs and much more! This online auction features furniture, artworks, heater, rugs, mirror, Canadiens Forum memorabilia, figurines, china wares and decor, electronics, toys, appliances, Sony PlayStation 2, silver and glass wares, luggages, pet carrier, ladder, golf bags, household chemicals and much more. This online auction features Limited Edition prints and art including Robert Bateman "Galloping Giraffes" limited edition print framed, Norman Kelly "Ringneck Pheasant" original oil on canvas, Anne Cote "New Sunglasses" limited edition print, Oswald Schenk "Algonquin" limited edition print, Terry Isaac "Gold on the Rose - American Goldfinch" limited edition print, Johnny Inukpuk, Sedna Inuit soapstone carving, Pavinak Petaulassie Young Caribou Inuit Carving signed, Alan Sahkaravz "Swan" large original oil on canvas and much more! This online auction features collectibles such as Royal Doulton figures, Aynsley, silver pieces, and collectible currency, antiques such as Chinese cloisonne, 14k cameo, perfume bottles, and Russian picture frame, art such as signed prints, oil on board, and Chinese scroll paintings, jewelry such as 18k diamond ring, 10k ruby ring, and sterling silver brooches, bronze figures, mahogany chairs, books and much more! This online auction features PORCELAIN CHINA AND FIGURINES: Many Dresden, Capodimonte, Royal Doulton, Italian and china floral pieces. CHINA: Royal Albert "Chelsea" tea cups; Christmas dishes; Victoria Beal place settings for 12; "Love Story" tea set by Josef Kuba, W. Germany; Richard Ginon No. 7 tea set for 12; Mikasa "Galewood" service for 12. CRYSTAL/GLASS: Serving pieces and stemware. ART: Inuit soapstone carvings; originals. 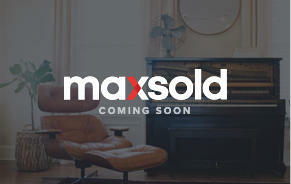 FURNITURE: Office; dining room - table, chairs and china cabinets; three bedroom suites. ELECTRONICS: Audio and visual components and much more! This auction features Moorcroft, Air Tools, Gum Ball Machines, Fire hydrant, Industrial Lighting, Vintage Magazines, 45s, CHUM FM Collection, Paintings, Walking Sticks, Jewelry Collections, Royal Doulton Figurines , Vintage Cameras, Cabbage Patch Kids, Tables, and much much much more! This online auction features items such as original framed engraving by Pierre-Auguste Renoir and Paul Cezanne, an original ink drawing by William Arthur Winter, Andy Warhol and Ultra Violet original vintage negatives and photo contact sheet, a grandfather clock and much more! This online auction features signed art prints with certificates of authenticity by artists such as Chris Calle, Kemp Kiefer, Oswald Schenk and much more. This online auction features artwork, lamps, china, silverplate, figurines, jewelry, Barbie dolls, books, vases and much more. This online auction features items such as Royal Doulton figurines, signed artworks by Andrew Plum, vintage Chinese artworks, Murano glass, Stangl and much more! This online auction features FURNITURE: Restoration Hardware chairs, Victorian settees, Italian Baroque corner chair and more! DECOR: Ornate Italian figurines and resin candleholders. HOUSEHOLD ESSENTIALS: Curtains, linens. 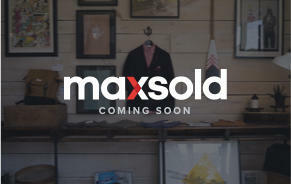 CLOTHING: Men's and women's coats/jackets, shoes, shawls and scarves. HOME IMPROVEMENT. LIGHTING and much more! This online auction features Tiffany Gold Earrings, Teak Danish Dresser, Teak Desk, pine dresser, Credenza, Antique Pine dry Sink, Two Area Rugs, Thomas China by Rosenthal, French Buffet, Limited Edition Signed Print, China Tea Cups And Saucers and much more! This online auction features a Phillips "Star Explorer" pinball machine. ANTIQUE: Churn. JEWELRY: 10 K, .925. COLLECTIBLE: Sports memorabilia/cards; Precious Moments, Cherished Teddies, Willow Tree; Bossons; music boxes; Coca Cola; Star Wars, ducks; beer steins; Marilyn Monroe, Elvis; stamps; motorcycle; boxes; model cars; enamelware, brass, copper, pewter; minerals; militaria. ART: Disney; Soapstone, wood carvings; Hoselton figures. TOYS: Tonka, HO scale trains, Matchbox, Fischer Price. CRYSTAL/GLASS: Paperweights; Murano; cobalt; flowers; depression - green, pink, amber carnival; cranberry. CERAMICS: North American; Beswick; Delft; Royal Doulton; Hummels; miniatures; Lladro; teapots; floral decor; Asian. CHINA: Beatrix Potter, Bunnykins; nautical plates; Ridgway "Heritage" dishes and serving pieces. 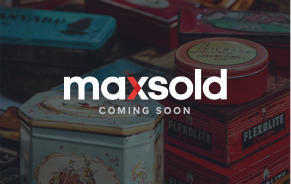 VINTAGE: Oil lamps; Viewmaster; electronics; Pyrex; luggage; clocks and radios. TOOLS: Antique hand, power. MUSICAL INSTRUMENTS: Two violins; percussion and much more! This online auction features items such as fine bone china by Aynsley, Royal Albert, Winton, and more, silverware and silver plate serveware, Royal Doulton figurines, costume jewelry, antique furniture and much more! This online auction features: Good quality furniture (solid wood), rare finds, fine china, pottery, artwork and glass/crystal. Full dining set - chairs, extendable table, sideboard and hutch; two full bedroom suites (with dressers and vanity - all matching); two settees (excellent condition) one with matching armchair; Asian art and cabinet; rare find antique card/games table; numerous tea sets (Royal Doulton, Wedgewood, Spode etc. ), Full sets of fine bone china (Royal Doulton etc.). Several antique and unique lamps as well and much more. This online auction features FURNITURE: Victorian Dining table, chairs and sideboard; Jacobean settee and matching parlour chairs; many pedestal tables and more! STERLING: Serving pieces, Fine Arts "Processional" flatware service, Birks vanity set. CHINA: A huge selection of Nippon, Myott, Limoges, Royal Prussia, Royal Winton, Spode, Wedgwood, Coalport, blue and white, tea cup sets, porcelain boxes, Royal Albert's "Moss Rose" tea set, large set of Bridal Rose dishes and serving pieces by various makers including Noritake, Rosenthal service for 6 and more! CRYSTAL/GLASS: Milk glass Tom and Jerry punch set; cranberry, blue, art, green, signed Cross and Olive, perfume bottles and more! COLLECTIBLE: Cloisonne; figurines - Hummels, Goebal, Beswick, Staffordshire; busts; paperweights; Belleek; brass; loons; linens; quilts; stoneware and more! VINTAGE: Skate blades; tools; records; dolls and more! ELECTRONICS. JEWELRY: Sterling, Cameos, costume! and much more! This online auction features COLLECTIBLE: Kaiser plates - some animal, mostly ships; Royal Doulton mariner figurines plus many other pirates, birds including a signed Brazilian soapstone sculpture by Wen Xie; bronze horses; Bossons; large stein collection including limited edition Norman Rockwell series; china florals. ART: Carved wooden plaques, knight figures, tapestries. TOOLS: NIB Sears bandsaw, Mastercraft grinder, Dremel. Twin medical bed and much more! This online auction features Mid 1800s antique French marble clock, Top of the line George Washburn USA acoustic guitar, Carl Fabergé etched gold-plated ruby glass with original label, Ibanez 12-string electric acoustic guitar, 1/2 Maestro violin, 48 Pcs comic books, Vintage cobalt centrepiece art glass, Antique metal light fixture and much more. This online auction features items such as Aynsley china, Royal Doulton and Lladro figurines, uncirculted currency, silver plate coffee sets and much more! This online auction features items such as sterling silver and gold plated jewelry, Murano glass, LPs, including artists David Bowie, Michael Jackson, ACDC, and more, stereo equipment, Dale Earnhardt Jr. Snap-on tools, hand tools, power tools, a complete dining room set and much more! This online auction features ART: Helena De Silaghi signed painting "Autumn Splendor", many of Andrew Plums pieces, as well as David Heath Kimpton too! COLLECTIBLE: Rare Royal Doulton "Annabella" figurine plus many others as well as a toby jug and pottery pieces; two Capodimonte figurines in addition to bronze and soapstone carvings. ANTIQUE: Walnut collector's display cabinet and much more! This online auction features lots of farmhouse and country decor, crocks, mini fridge, Polk Audio speakers, Mastercraft snowblowers, Yardworks riding mower and much more! This online auction features Marvel Comics, Green Arrow Mini Series, Hockey Cards, 1999 2000 Canada Post millennium stamp and coin set, Baja Motorsports 50 cc dirt bike, Two camera bags, one Henrys and one Blacks, with assorted camera equipment. A Canon EOS Rebel SLR, ColecoVision game console with ADAM expansion pack, Set of 3 mini samurai swords with display stand, Toys and games including 27in tabletop billiards, BNIB Air Hogs Atmosphere Axis, Battleship Live, Crocodile Dentist, Scrabble Junior, Simon Flash, Kerplunk and much more. This online auction features a Vintage Leica camera, a Canon Rebel DSLR, electronics, antique books, jewelry, collectibles and more! This online auction features FURNITURE: Leather pieces including a La-Z-Boy sofa; Golden Tech lift chair; Glass and Chrome dining table and chairs; server; Bombay bedroom suite; Kingsdown bedding. CHINA: Royal Doulton "Martinique" service for 12 plus serving pieces including tea and coffee service; Luster ware tea set. Vintage Pyrex. Green glass vases and much more! This online auction features pottery, guitars, wall art, figurines, speakers, lamps, sewing machine, vintage camera, jewelry, collector spoons, toy box and much more. As a buyer, generally the experience is fun and an adventure for me. Above all it's an interesting concept to acquire some unique pieces, which inspires my creativity. 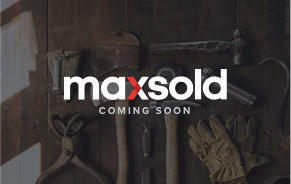 As a seller (not been in that position yet), I can see how MaxSold's way of showcasing and organizing sales is beneficial in a lot of ways enabling sellers to let someone else organize and take care of things....a win-win for all!! Well organized. We can get a good price for items that we can use. Thanks! Obviously you can find anything and everything at the different auctions. Items i bought were as described condition wise, and at a great price. As for pick-up, it was run efficiently, and the people there were extremely nice and easy to deal with. They were organised well, and it was very quick on picking up. Quite impressed as it was my 1st time winning something, made it very easy, and gave confidence for future buy's / pickups. The photos and detailed descriptions give a fair representation of the size and condition of the articles so purchasers such as myself are confident that there are no unpleasant surprises when we pick up the merchandise thus are willing to compete to bid. Selling and supervising collection of $ and merchandise is taken care of by staff so vendor has very little to do. As buyer, it may be a way to buy things you want/need without going into debt. Save the environment and cost effective. Efficient service and mostly good prices. 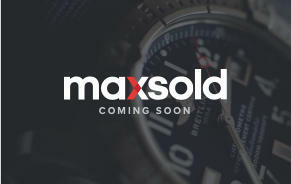 I love using maxsold! It is fun bidding and there are great treasures to be found. So far so good, the staff I have dealt with so far were lovely to work with. Very professional and well managed/organized. ALL dealings were super professional but still very friendly ... made my life enjoyable. Very impressed with the team that came to tag our items and the help I received from the office coordinating the actual auction. Professional and quick response. Made one feel that you are in good hands and that business will be done with the highest level of integrity. 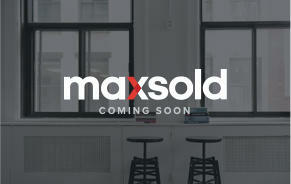 Max Sold has been a fantastic and effortless company to work with. There staff are all very helpful and a pleasure to work with. 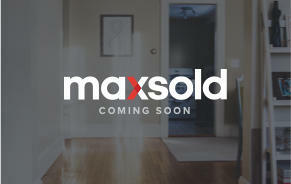 I am very greatfull to your porfecional staff I can't wait to get another auction with maxsold. You have an amazing organization. I love working with everyone!!! !